In the spirit of St. Francis, a small group of beekeepers maintains a number of beehives on the grounds of the Franciscan Monastery. Besides the honey – unique to the area – and other hive products, the bees serve the Monastery gardens and the surrounding area through pollination. That helps us grow our produce each summer. These fascinating little creatures also provide an incredible experience to those who care for them; through close interaction with the bees, you gain a more intimate link to their environment. The Franciscan Monastery Garden Guild (FMGG) has been in charge of the apiary since 2006. Through the mentoring of Toni Burnham and other area beekeepers, the program has evolved to include almost a dozen hives. The additional hives supply a limited amount of Monastery honey for sale in the gift shop, which helps support FMGG’s mission: to promote and preserve the grounds of the Franciscan Monastery. 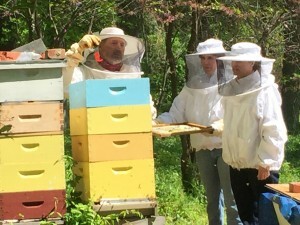 The Franciscan Friars established a honey bee apiary near the existing greenhouse in the late 1920’s to aid in pollinating their vegetables, crops and orchard. A vintage 1940’s photo shows seven beehives south of the greenhouse; however, by the 1960’s there were no longer beehives on site until the Garden Guild reintroduced honey bees in 2006. Today, close to 1 million bees call the Monastery grounds home. 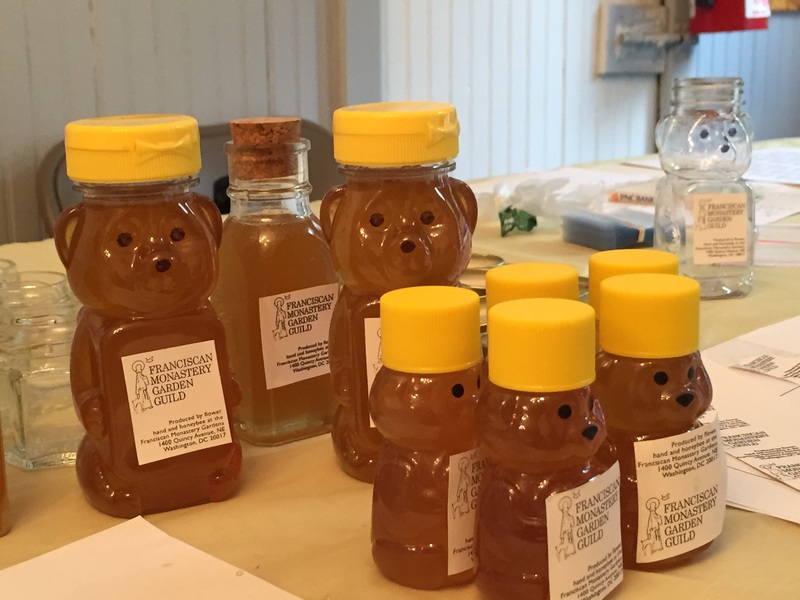 We hold honey extraction workshops, open to the public, based on how much honey the bees produce. 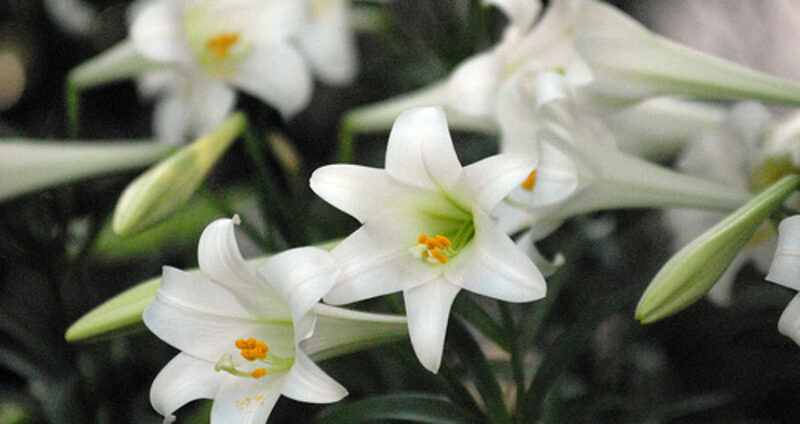 Typically, these are in early summer and toward the fall. These are fun and educational experiences to learn about bees and get messy helping extract and bottle the sweet product. Extractions are posted on the event calendar. Members can take part in a more intimate experience with the bees by volunteering in the apiaries, studying apiculture with local mentors, and perhaps even joining our team of beekeepers. Activities include maintaining the equipment, the apiary site and the bee barn, and collecting and processing hive products. Lastly, as urban beekeepers, a large part of our mission is to help promote responsible stewardship of the environment in order to support healthy, happy bees. Contact Joe Bozik or Toni Burnham to learn more about beekeeping classes and joining the bee team.